symmetrical, lal bagh garden, Bangalore, India by Sakthivel E. CC-BY-SA-4.0 via Wikimedia Commons. A British visitor in the 19th century thought Bengaluru to be a “metropolis of monkeys.” A 14th century pre-urban resident described the landscape more prosaically, as “the wet and dry lands within the four boundaries, including the trees overground and the wells underground.” The 18th century ruler Hyder Ali carefully selected and tended flowers in his royal gardens, experimenting with hybridisation to produce rare roses. Meanwhile in the 21st century, home maker Dhanalakshmi looks after a small patch of greens in her tiny home garden in a slum with the same loving care, erecting a makeshift barricade of thorns to save the plants from ever-voracious chickens. Nature in a city holds different meanings for its disparate residents. This is evident in the history of Bengaluru — one of India’s largest and fastest growing cities. Changes in the meanings of nature also took place over centuries, with the growth of the city, which changed the form and function of a once rural landscape. A motley assemblage of villages with a history that dates at least as far back as the reign of Augustus and Tiberius in Rome, the urban avatar of Bengaluru began in 1537 when a medieval market town was founded, with a flourishing trade in textiles, bangles, and rice. Once a contrasting landscape of fertile soil with irrigation tanks which supported orchards of fruit and flowers, and rocky dry terrain with thorny jungles with cattle herders engaged in fierce battles over livestock, the city now contains over 10 million residents, who engage in a number of livelihoods largely divorced from nature — such as software technology. Yet in its home gardens, slums, streets, parks, lakes and sacred spaces, nature in the 21st century city thrives in different ways, shaped by its diverse history. 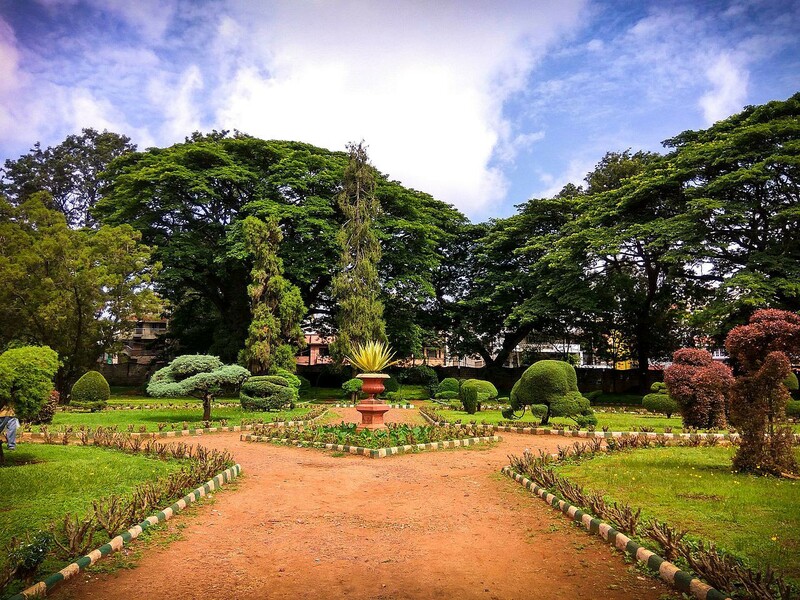 Thus for instance, one finds parks in Bengaluru dominated by exotic flowering trees, brought from far flung corners of the world by 18th century colonial botanists, while tiny pocket gardens found in congested slums largely contain native species, prized for their medicinal, nutritional, or sacred value. Indian planners followed an aesthetic of selection of ornamental plants where olfactory sensation played an important role, planting a number of species that produced flowers that were otherwise unremarkable, but for their fragrance — masking all the ill smells of cities plagued by dirt and decay. The use of flowers for worship was very important for an Indian city, and sweet scented flowers were much prized. British botanists, in contrast, were influenced by the visual. They selected trees with showy blossoms from across the world, with colours that covered the entire palette from audacious scarlet Gulmohars to delicate golden Tabebuias. Now, the city is witnessing another change towards a preference for native species, with medicinal values of air purification — a response to changing urban needs. Nature is essential for human survival in all cities, plagued as they are with challenges of air pollution, heat waves, and ill health. Most people who live in a city would agree that they need nature for humble daily necessities such as food, shade, and mental peace as well. Yet we know little about why some forms and types of nature, including rare species sensitive to noise and pollution such as sparrows and vultures are disappearing at such a fast pace from cities worldwide, while nature thrives in other forms, for instance as invasive weeds such as Lantana camara or noise-tolerant bird and animal species such as the pigeon and rats. In other instances, nature persists in form, yet is deeply altered in substance — such as remnant urban forests with thriving native wildlife that become re-landscaped as city parks for recreation, planted with ornamental manicured gardens, and recolonized by invasive animal species. Despite the increasing importance of cities for human survival, we know little about how urban life shapes ecology and the environment. Nor do we know — conversely — how the presence and absence of urban nature shapes people’s attitudes towards biodiversity, co-existence, and wellbeing. For instance, older residents of Bengaluru and recent migrants from rural areas tend to have a closer connect to nature, planting native species used for food, medicine and worship in the humble residences of slums, and wealthier traditional home gardens in Bengaluru’s bungalows. Recent, wealthier migrants from other Indian cities who lack this connect prefer newly constructed high rise apartments in the peri-urban fringes of the city, where they plant ornamental exotic species prized for their showy flowers and foliage, and actively exclude fruiting native trees. Our lack of knowledge of the importance of cities for the persistence of nature, and of nature in shaping the rhythms of urban life, is widespread. This is in large part because of a deep neglect of urban ecology in scholarship. Ecologists have largely ignored cities, while urban chronicles likewise tend to give ecology at the most only a small a bit part on stage. By 2030, 4.9 billion people will live in cities: more than 60% of these future cities are yet to be built. We need to chronicle and explore a variety of possible pathways to more sustainable and inclusive urban futures in growing cities around the world. Harini Nagendra is a Professor of Sustainability at Azim Premji University. An ecologist who once studied forests, she is now also fascinated by the ecology of cities. 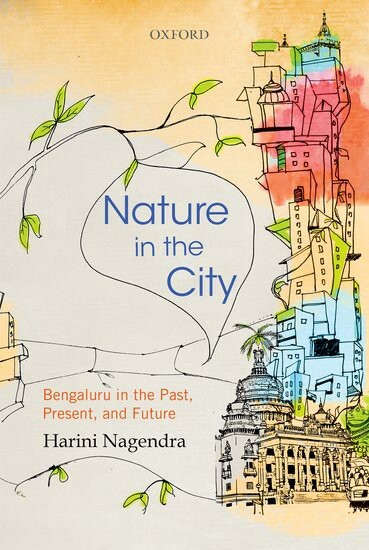 Harini is the author of Nature in the City: Bengaluru in the Past, Present, and Future (Oxford University Press, 2016).